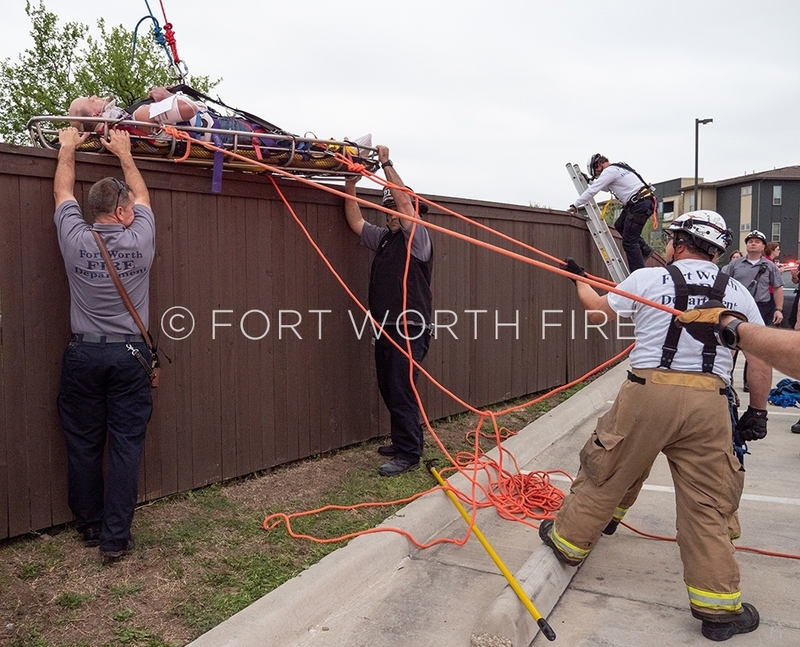 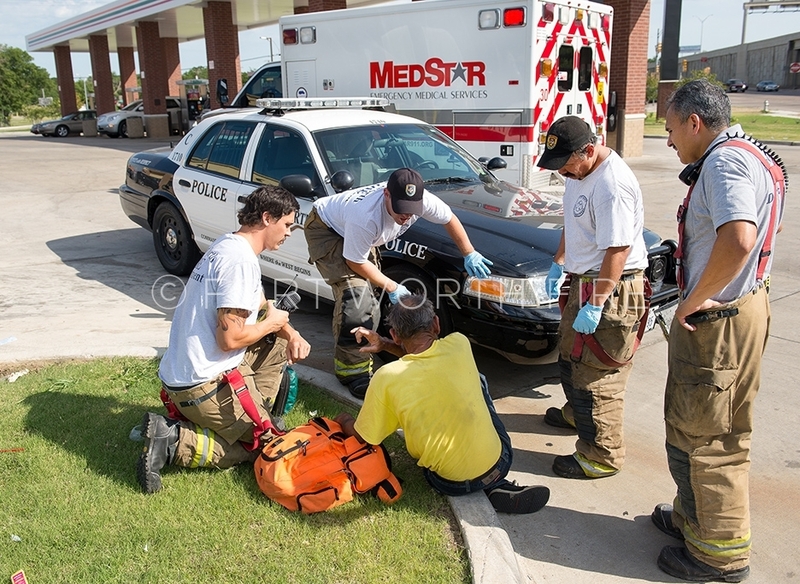 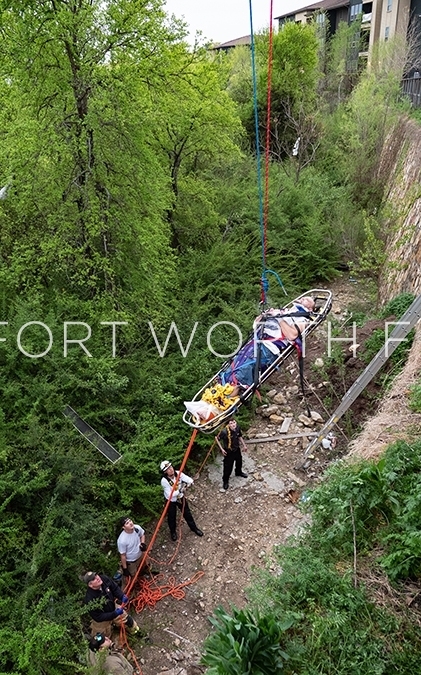 Fort Worth firefighters attend to a male that fell off a 30 foot retaining wall. 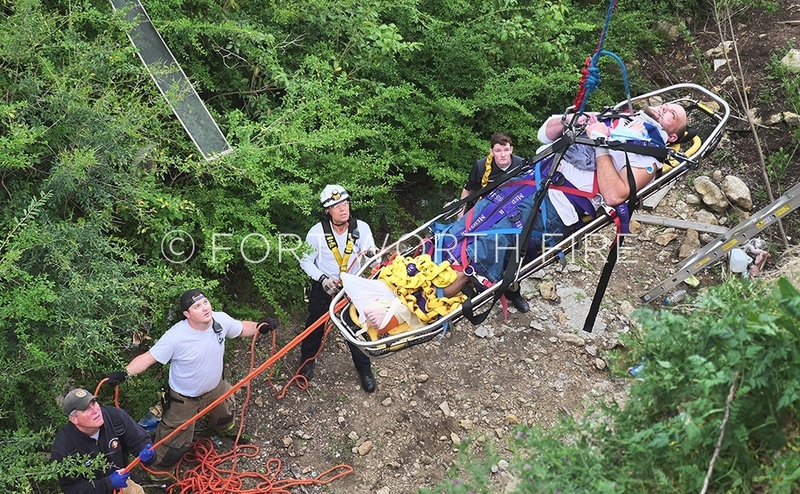 Firefighters Todd Brook, Justin wallace and Brian Call stabilize a male that fell off a 30 foot retaining wall at 4250 Old Decatur Road. 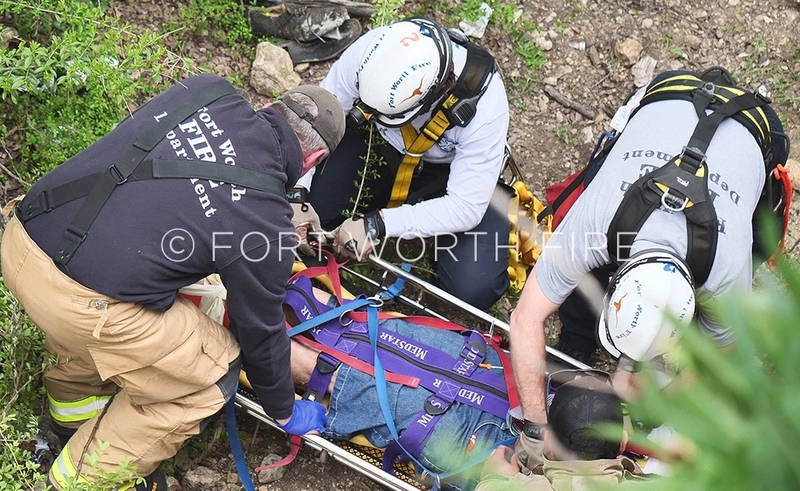 Fort Worth firefighters extricate a male that fell off a 30 foot retaining wall at 4250 Old Decatur Road. 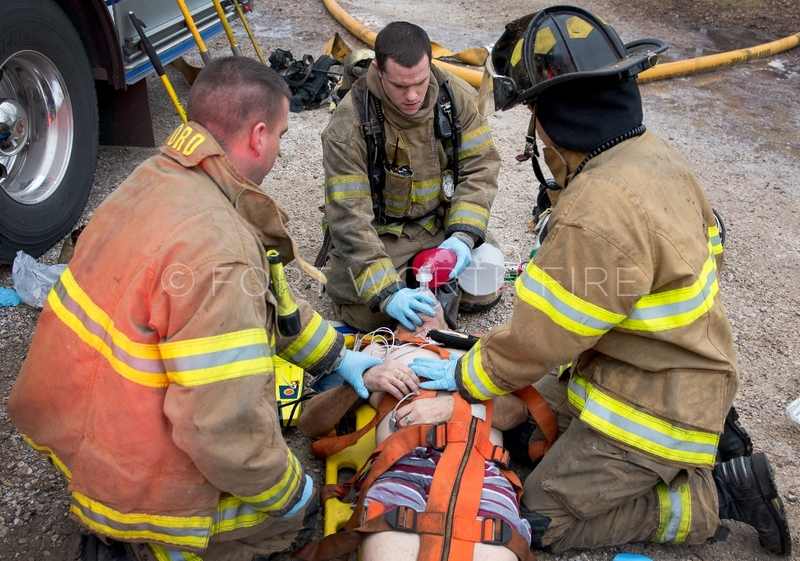 Firefighters work on a fire victim pulled from an apartment fire on Buckskin Run. 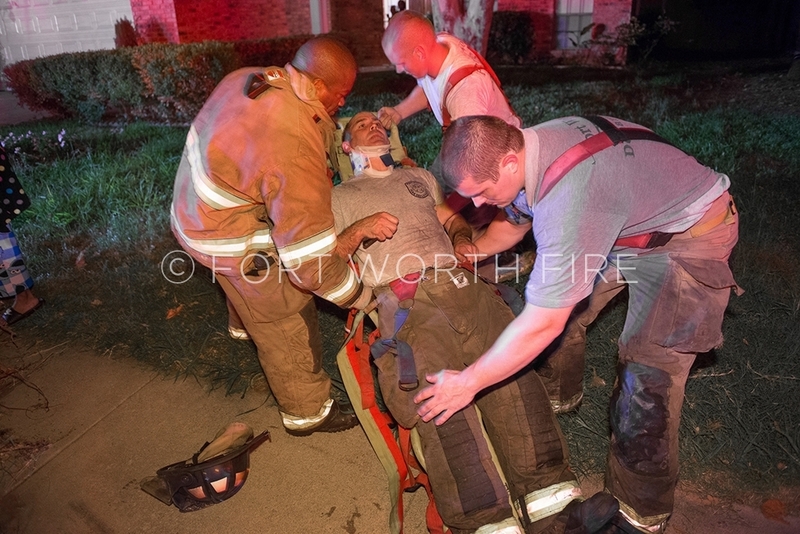 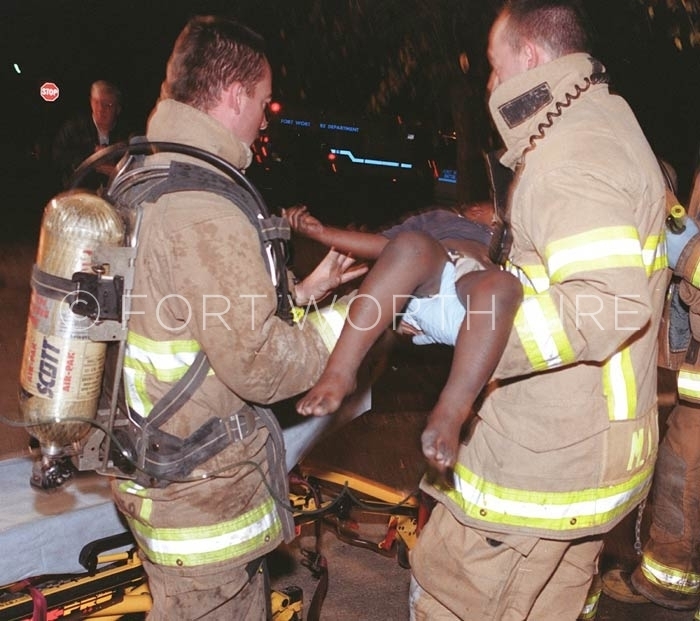 Firefighters perform cpr on a fire victim pulled from an apartment fire. 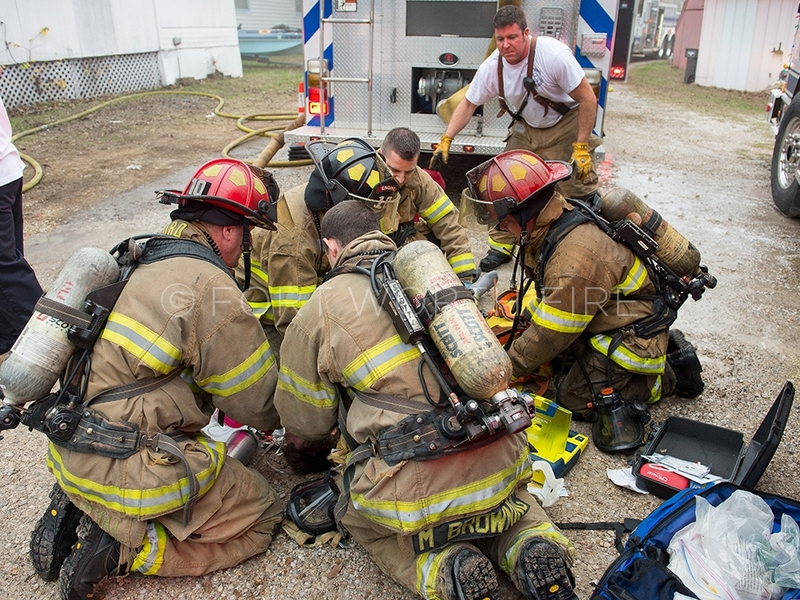 Firefighters and paramedics continue CPR on a victim rescued from an apartment fire during transport to an ambulance. 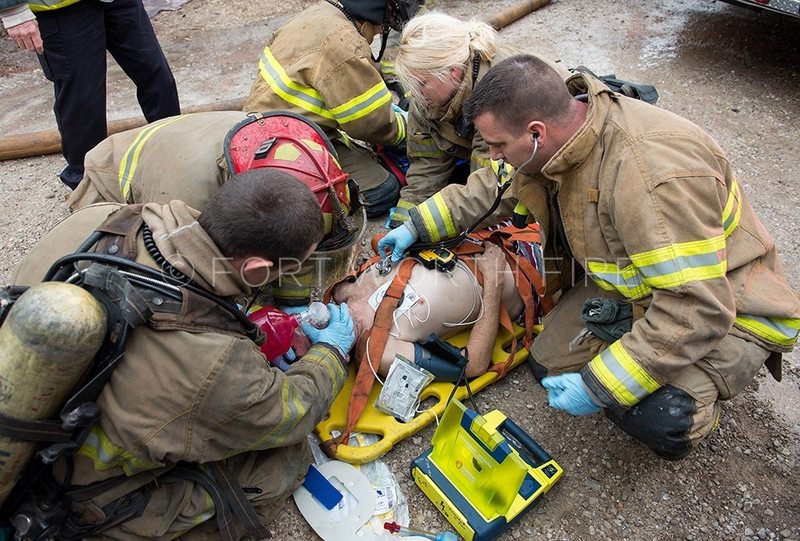 Firefighters and paramedics work on one of two victims rescued from a house fire by firefighters. 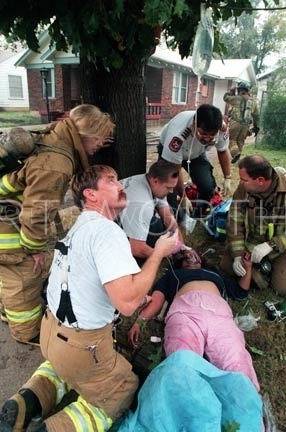 Firefighters and paramedics work on a victim rescued from a house fire by firefighters. 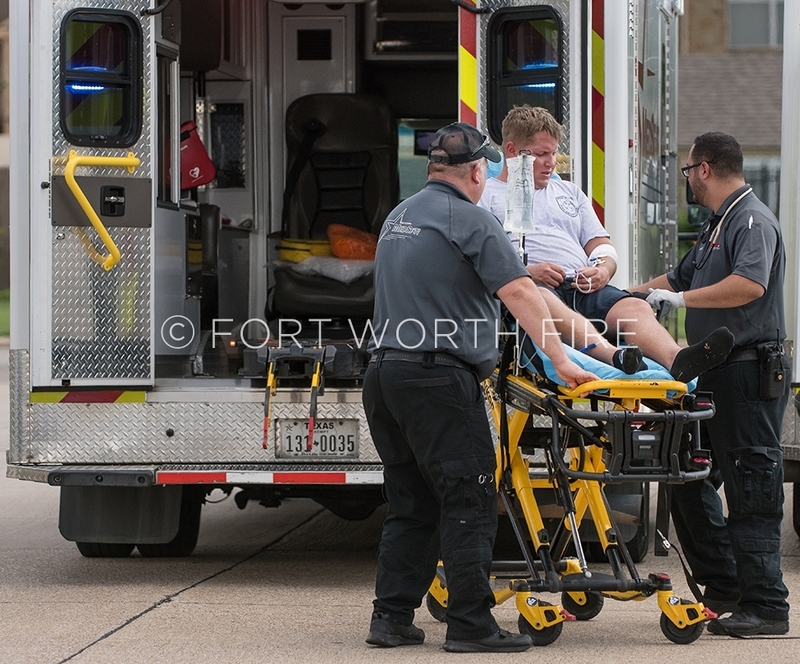 FF Chris Parkinson is taken by ambulance after suffering from heat exhaustion at a commercial structure fire. 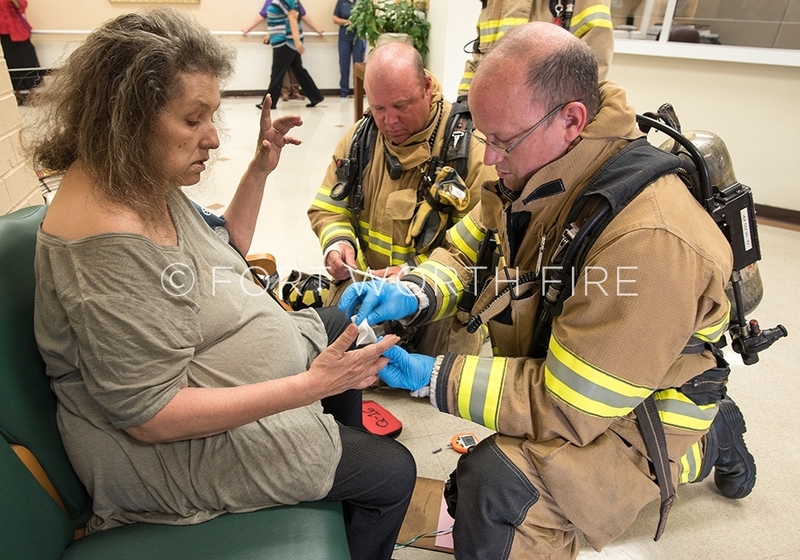 Brett Lucas and Rick Jones work with a smoke inhalation patient during a kitchen fire in her apartment at Casa Inc. 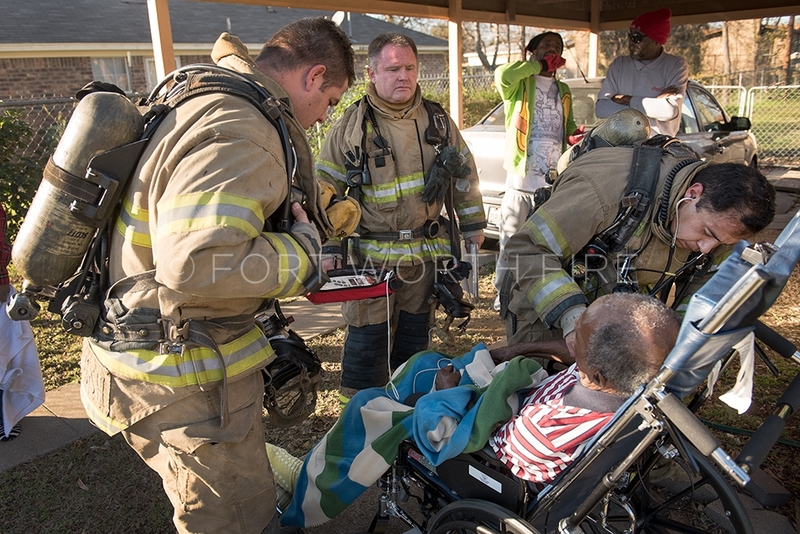 Firefighters Josh Smith, left and Brigido Garcia check on a resident pulled from his home on Lester Granger by relatives during a house fire. 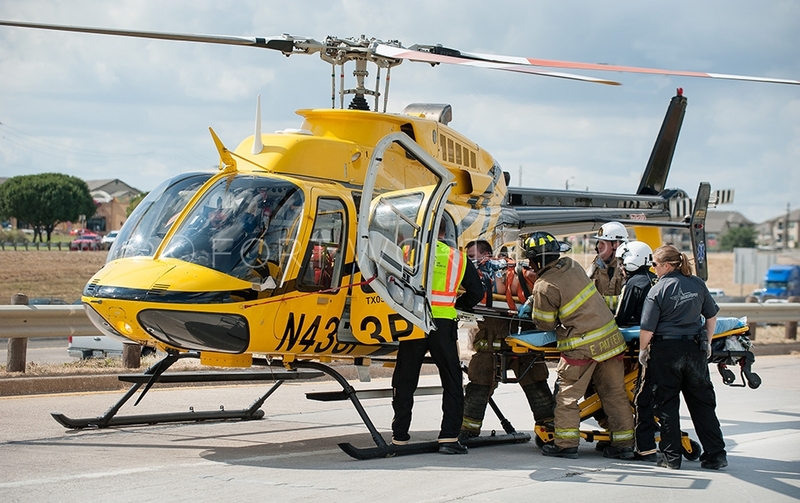 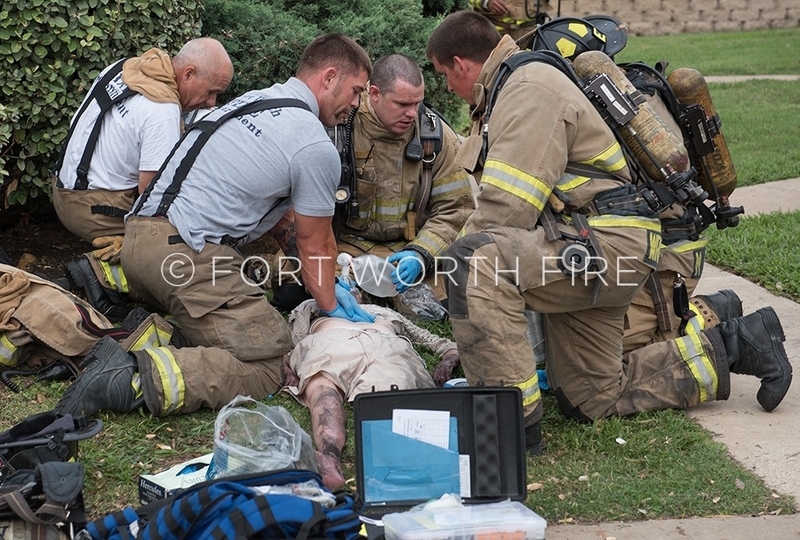 Fort Worth firefighters Jon Wegmann, Michael Browning and Gina Bellegante perform ems on a male found in his burning mobile home at 1800 Edgecliff Road. 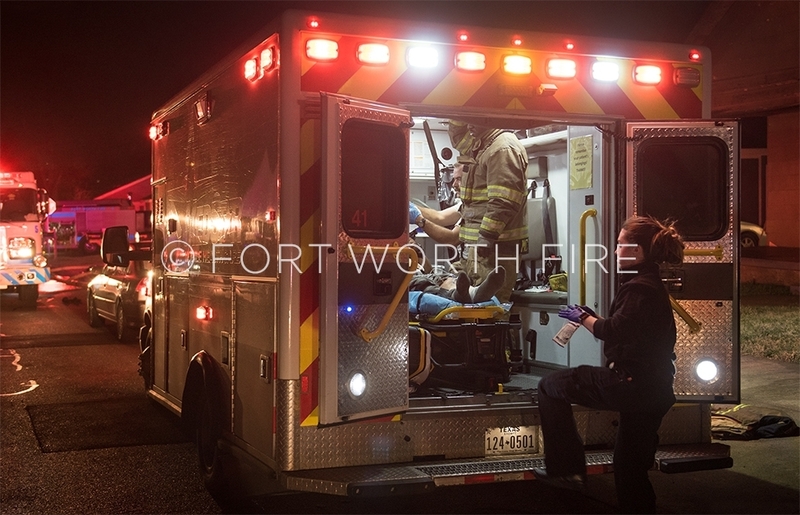 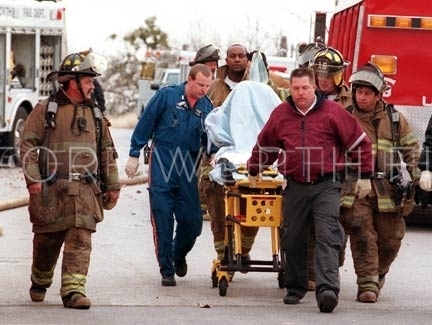 Fort Worth firefighters perform ems on a male found in his burning mobile home at 1800 Edgecliff Road. 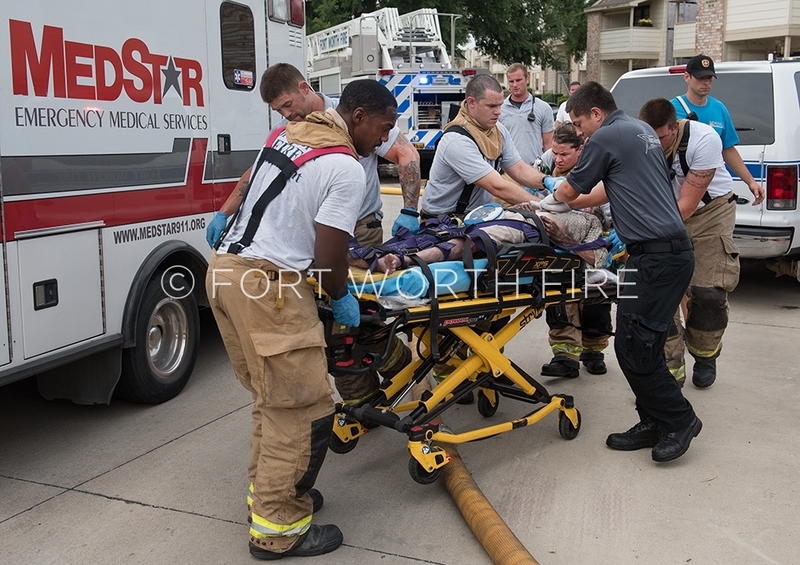 FIrefighters perform ems on a male pulled from his home at 1800 Edgecliff Road. 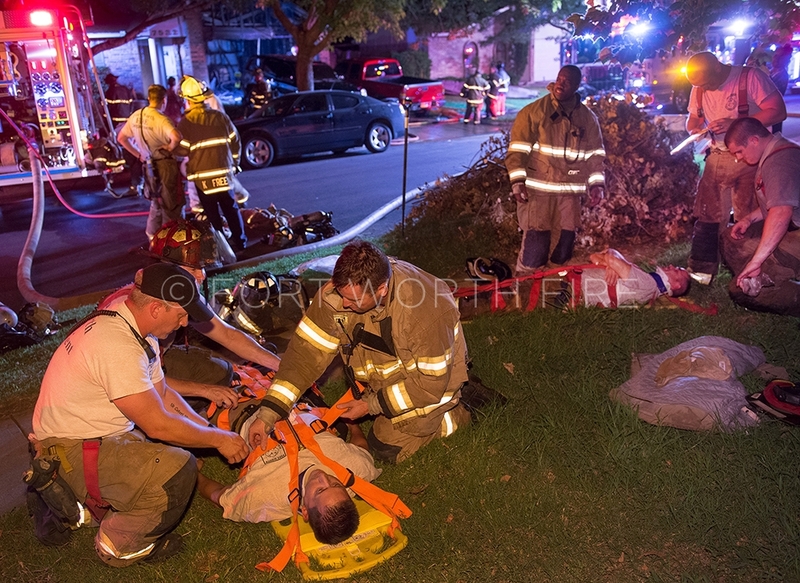 Engine 20 firefighters assist Jimmy Gray following a ceiling collapse at a house fire on Woodfield Road. 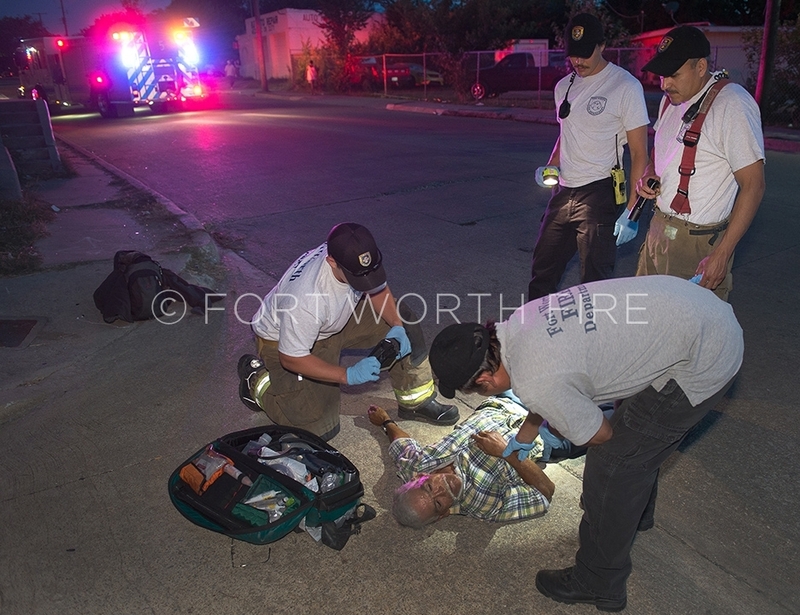 Engine 5 checks on a man found lying in the street after a fight. 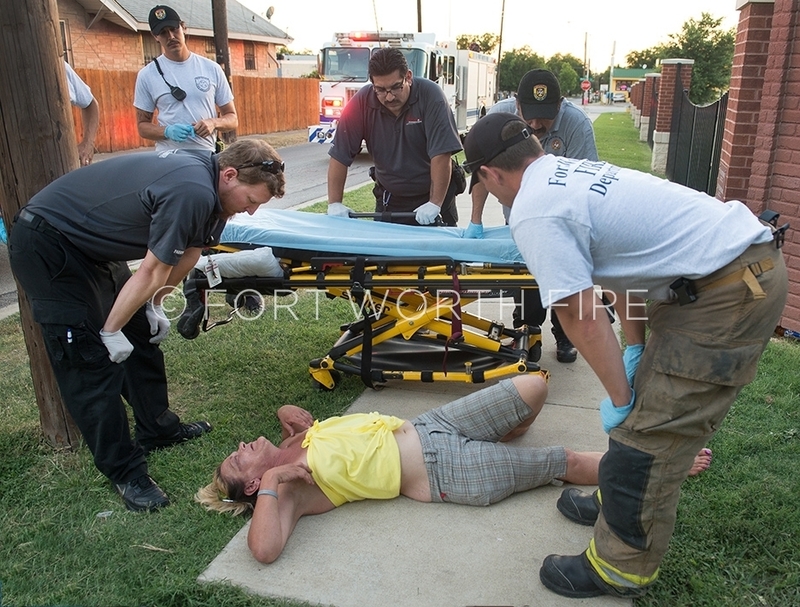 E5 prepares to assist an intoxicated person collapsed in the heat. 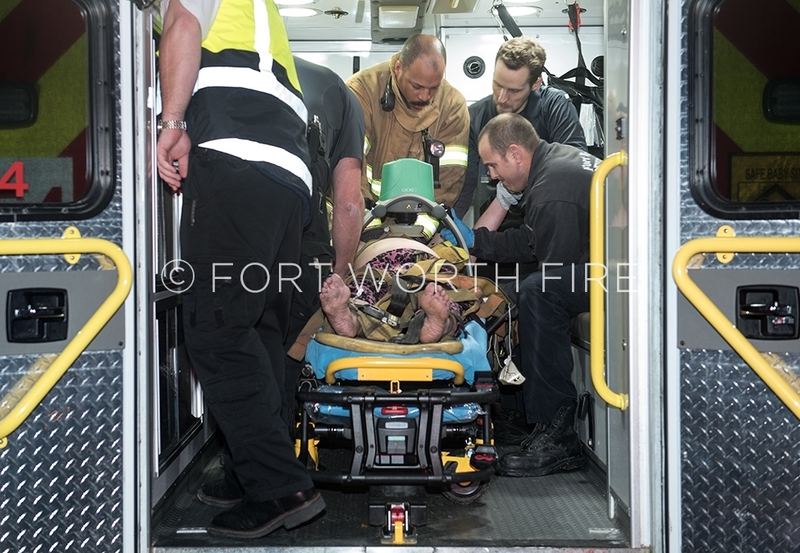 E5 checks on a transient found in a parking lot on E Rosedale. 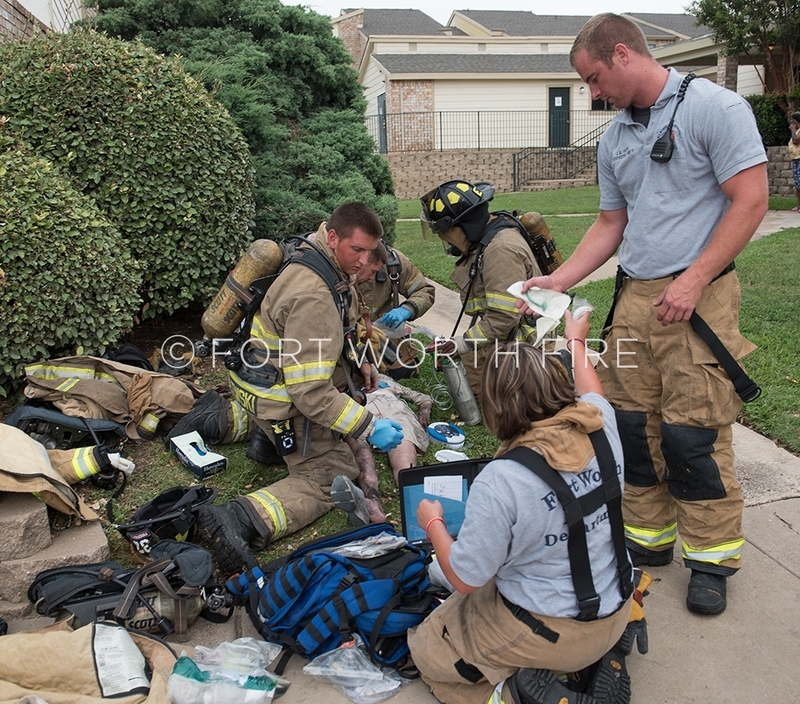 Shannon Keener and Lt. Mike Lugo prepare to work on a child pulled from his burning home on Pulaski Street.